Please note, it has been brought to our attention that this article may be inaccurate. This article was written by a staff writer who is no long employed by us. We have contacted the writer and he has produced his sources which are several articles from "RC Flying" Magazine in Thailand. The source articles do in fact support a lot of the information in the main article. However, though some sources (such as Hirobo Quark's manual as shown in the comment) support the article's claim, many reliable sources show otherwise. We apologize for any inconvenience caused. Of all the innovation that paved the way to the rise of electric RC flying, battery technology plays one of the biggest roles. Today, modern batteries have a much better power to weight ratio than before. This allows RC airplanes and helicopters to stay in the air for a lengthy period of time - even as long as their nitro counter parts, or even longer. 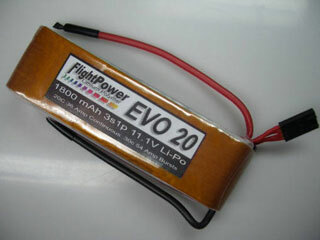 Amongst the types of batteries, Li-Po or Lithium Polymer rates as the best your money can buy. While they cost much less than they used to, it is always wise to make sure that your Li-Po battery will last for as long as it could. This article will provide some pointers as to how to store your Li-Po battery for long periods without sacrificing its overall lifetime. 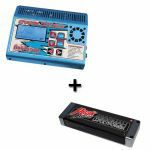 If the Li-Po battery is brand new and you decide to keep it for a while before putting it to first use, contrary to common sense, it is best not to store the battery in its uncharged state. The best practice is to fully charge it and maintain it at 4.2 V per cell before storing the battery away for a long time. For example, if you bought a 3-Cell Li-Po battery rated at 11.1 V, when fully charged, the battery will hold 12.6 V. This will make it suitable to keep stored away for 3 to 6 months. However, after 6 months, the voltage will start to weaken. When this happens, fully charge it again, whereby giving another 6 months of storage time. While this procedure can be performed over and over, the battery shouldn't be kept without being used for more than 2 years. If the Li-Po battery is fairly new and has been used no more than 70 times, has never reached temperature of more than 45 degrees, and never short circuited, the individual cells within the battery needs to be balanced before storage. This easily can be done through new versions of charger which has a "balance cell" function. Another method is to measure the voltage of each cell and set each cell to have an equal voltage to the least-voltage cell. The cells can be discharged using a simple-circuit light bulb making contact with individual cells, whereby slowly draining out each one. Once the cells are balanced, fully charge the battery, which will give each cell about 4.2 V. By doing this, the battery will be ready for a 2 to 4 month-long storage, upon which time the procedure must be repeated. Please note that ultimately, batteries of this condition stored using this procedure should not be kept for more than 1 year. For batteries that are in a sorry state, such as having been used more than 70 times and have reached temperature higher than 60 degrees and has been short-circuited plenty of times, the first thing to keep in mind is to not hope for much. The procedure for storing these batteries still remains the same as the procedure above. Balance the cells first then charge the battery fully before storage. However, the result won't be great. As for the storage, keep the battery in a zip-locked bag and place it in a padded aluminum or stainless container (such as a cookie box). Keep the box away from sunlight and humidity. The reason for the stainless box is to protect your house from fire which may be ignited by batteries short-circuiting. Better safe than sorry right?